As a blogger just a few engaging pieces of content may not be enough to improve your stats. You may have to count on few tools and websites to drive more traffic, create attractive contents easily, understand competitors, make successful marketing programs and generate a better revenue. 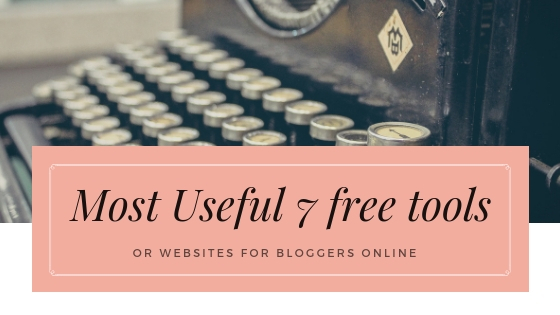 From my experience of 4 years in parenting blogging, here are the top 7 Must use, best, easy-to-use, free online tools/websites for bloggers. These are mainly for multimedia and stats. I myself use them nearly 5 days a week. Many bloggers are aware of it but if you are a new blogger, Pixabay is a royalty-free (sometimes with terms) image stock website. Not many Indian models/faces but still the best source for HD and amazing free images. This is a must to learn for basic graphic design skills, be it your post’s featured image, infographics, small artwork, all can be done in just a few minutes on Canva. It’s so easy that even my 8 years old son enjoys it and makes graphics work all by himself. 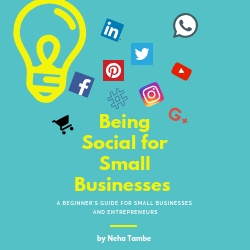 Very much recommended for social media marketing. Though these don’t reflect exact stats, this website will help you give some insight on competitors etc. It will help you know Trust flow, backlinks, keyword status, top ranking keywords, money-making keywords etc. These are not just useful but MUST tools for your blog. Most importantly they will warn you of any harmful things like bad backlinks, balance of backlinks, traffic, sitemap, user heat maps, and geographic traffic distribution. Recently they stopped supporting plugins, so you have to configure it by coding. BuzzSumo is a useful tool for bloggers and content marketers. It helps you in monitoring and research purposes. There is a search box where you need to put the topic or URL and a selection of worth social media sharing contents will pop up to cater to your content marketing needs. Not only you can get a fair idea about which contents are working good on social media and which are not but with site comparison you can also dive into the productive angles of your peers and top performing blogs or programs. Keeping up with the top ranking contents using the above tools may help you reap the benefits of your endeavors. These tools are simple but effective in adding traffic to your blog and helping you find oodles of productive contents for a successful marketing. Hi Neha! I am grateful to have found this article via IndiBlogger. I have always had these kinds of lists for global bloggers, thankfully this post has saved my time lots. Even better… is the video you have put up. That’s the best for readers who are in a jiffy. Thanks a lot dear. Have a nic e day. Nice tools. I’m hearing about them for the first time and it seems to be very helpful for bloggers to create and support their content. This is such an informative and useful post for all blogger. I use canva and google analytics & know of Pixabay but had no idea about the others. I’m gonna try them out for sure. Thanks so much! Wow.. this post is just perfect for a beginner likr me. Looking for ways to amp up my content and these are simple and cost effective. Love it. Some of these are new to me, especially sepstat and scoompa. They look very useful. Bookmarking this post. Thanks for sharing. For any website, what I want first are webmaster and analytics access. People who know the interface, know how good and useful these two are to track your website details. Canva is also good. I am so glad to read this post. I use Pixabay and Canva, would check out others. I have been using Canva for a while now, but would love to learn more about other tools too. thnx for this dear. I’m bookmarking the post, Neha. Going to check out more of the GA tools that you mentioned here. Thanks for the useful list dear. Frankly, I didn’t know of any other tool apart from Pixabay and Canva. This is such a useful post for bloggers. Have bookmarked it. This is really helpful for someone like me who constantly struggles with getting good content out there. These tools & website definitely would be the saviour. Hey, thanks for sharing this. Some of the tools, I don’t use/ dint know about. I am going to try these tools for sure. well written post.. the best tools for every blogger.. 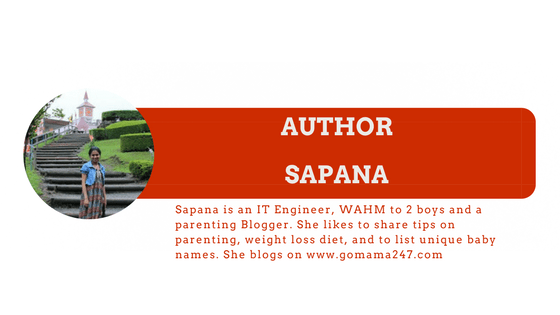 This is really great Neha, its going to help all the new bloggers even I dient know about the 3rd and 6th one. Buzzsumo is amazing and Gtag is really important for website.